We’re getting to know our gang of makers a little more by sharing your stories and general awesomeness in our Meet the Maker series. 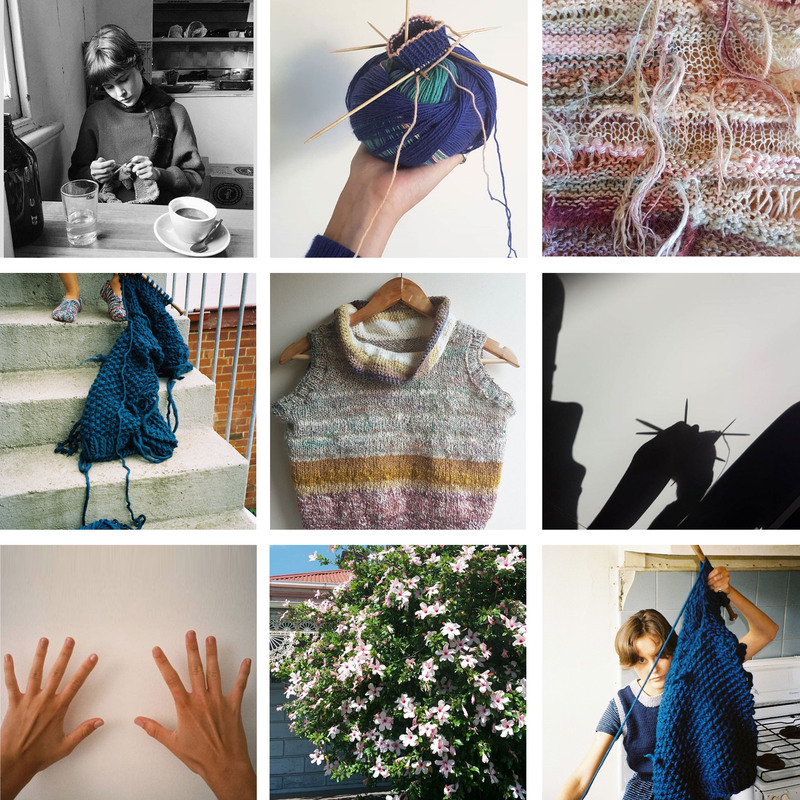 This month, we chat with Abby Keep – a 20 year old knitter from Melbourne, Australia. I am 20 years old and I live in Melbourne, Australia. I am currently studying Textile Design, though eventually want to direction myself towards Art Therapy. I’m a reader, knitter and maybe also a 70 year old stuck in a young persons shell! I am obsessed with fantasy novels; I can’t go to a shopping centre for more than 10 minutes; I’m usually reading and knitting at the same time (I usually keep that to when I’m at home though). I knit for many reasons. I love the outcome of knitting.. the tactical journey I am taken on and the constant movement of my hands though it is my therapy too. Knitting is the main practice that has helped me through some tough times in the past couple of years and this realisation was completely unintentional. The space I get teleported into is one of calm and solitude and I feel instantly at peace. It is beautiful to think that for even a small time you and your project are the only thing in the world and nothing matters. 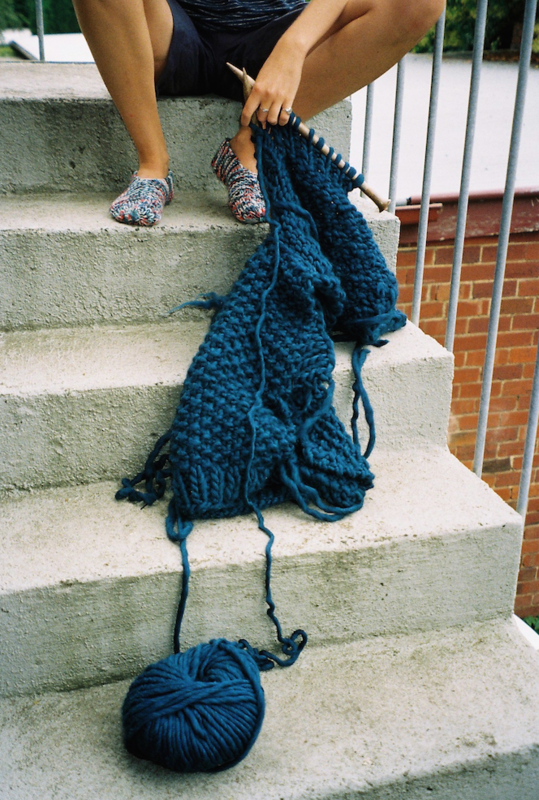 Do you remember what your first finished knit was? A stripy scarf with acrylic wool when I was about 7 years old? It was so wonky and had so many holes in it. Should’ve kept it for the archives but I’m sure mum ‘accidentally’ binned it. To live on a small property, and spin and dye the yarn that my animals produce. Im very passionate about supporting ethical and sustainable practices and knowing where my materials come from. I’d have to say Purl stitch. It is so clean and classic I never get sick of it although I love working in cable just because it’s so fun and a really nice brain exercise and meditation. Reading or at the Library. Slip the first stitch Purl wise so that your seams connect seamlessly when sewing the garment together. In a huge comfy chair or in a park, preferably with a tea by my side or a podcast in my ears. I love working with Alpaca though being from Australia where hand spun Sheep is a lot more common and plentiful I generally use this and I love it as its a real sensory experience.